Plumbing problems are stressful for any homeowner. Water in a home can cause serious damage and repairing the problem can often be costlier than a homeowner would like, but putting repairs off will often lead to even higher costs in the end. Sometimes you need to call for plumbing services during hours when your normal plumber might not be available. Emergency drain cleaning services offer repairs at any time of day to save you the hassle of water damage throughout your home. There are many reasons to call an emergency drain cleaning service, but these are the 4 most common among homeowners. What starts out as a simple clog or blockage can quickly turn into a water backup. Water backups can cause the affected drain to spill water into your home, causing hundreds of dollars in damage. 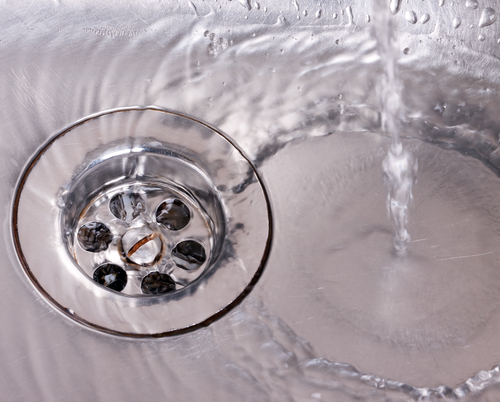 If you suspect a water backup you should contact an emergency drain cleaning service right away. The sooner you catch the clog, the easier it will be for the emergency drain service to break up and clear. We expect water to be clear in color, but what do you do when it isn’t? call an emergency drain cleaning service! Different color changes can indicate different problems in your water supply and until that problem is addressed, the water isn’t safe to use. Letting a professional address the issue in color as soon as it arises is the best way to protect yourself and your family from potential illness. Water in your home where there shouldn’t be water has the potential to become one of the costliest plumbing problems of all. Water pooling around the base of your toilet, sink, or shower can lead to much bigger problems so you should contact an emergency drain cleaning service right away. Water dripping from the ceiling or seeping up through the floor are signs of even more serious issues, so don’t hesitate to call! If you notice a bad smell from your drain system that is worse than normal, it’s likely a sign of a clog or backup. Sewer gas will begin to fill your home with the smell until the clog is addressed by a plumber, so waiting until the next day to call a plumber isn’t a good choice! Try to flush out the smell with bad water first but if it’s still lingering or getting worse, it’s time to hire a professional. 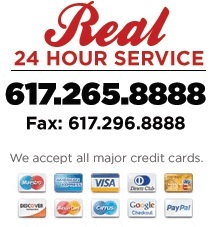 Boston Drain Company is always just one phone call away! We understand that a drain emergency can happen anytime, which is exactly why we are available 24/7/365! Contact today to receive your plumbing estimate or call now at 617-265-8888!